FORT WORTH (KDAF) -- The Forth Worth Police Department announced a punishment on Monday for one of its officers. Chief Joel Fitzgerald suspended Officer William Martin for 10 days without pay, for actions during an arrest a few days before Christmas. 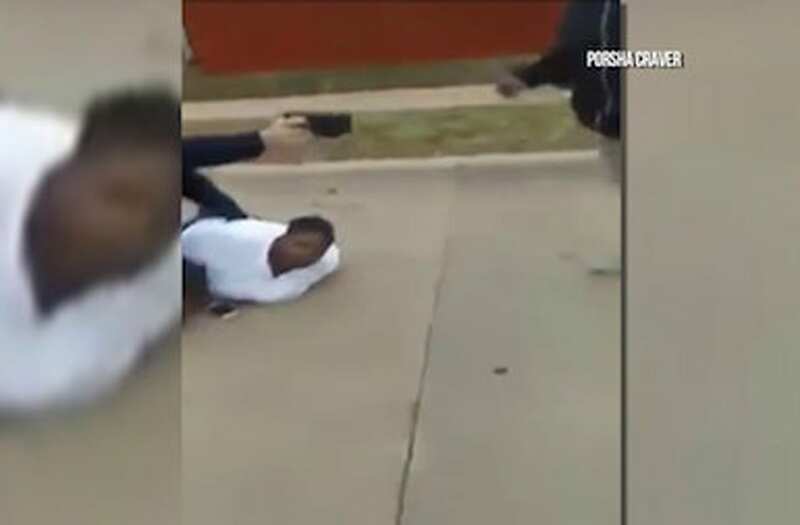 When video of the arrest went viral, FWPD's internal affairs investigation was expected to take six months to a year. But instead it took less than three weeks. "As you all know, the incident captured national attention," said Chief Fitzgerald. "We handled it in short order. We really left no stone unturned." The chief said the investigation convinced them Officer Martin was in the wrong, but also that none of his offenses warranted firing him. A Texas police department announced on Monday one of its officers would be suspended without pay after a video of an arrest captured national attention. "He made a few bad decisions," the Chief told reporters. "Neglect of duty would be one violation. Discourtesy. We felt that there was some inappropriate contact that he had with two of the females." So, for all that, is 10 days without pay enough? Depends who you ask. Chief Fitzgerald seemed to think so: "A 10-day suspension without pay is a significant punishment." But Lee Merritt, an attorney representing Jacqueline Craig, the arrested mom, disagreed. "I'm understandably - on behalf of the family, and on behalf of the firm - livid about the decision to give a 10-day vacation to an officer who was guilty of gross misconduct," Merritt said at an afternoon press conference following the announcement. "We will continue to pursue justice from the district attorney's office." Yeah, it remains to be seen what charges - if any - will come against Martin, or if the charges against Ms. Craig will be dropped. In the meantime, once his 10 days are up, Officer Martin will be back in uniform - and back on the streets of Fort Worth - hopefully doing a better job of serving and protecting.